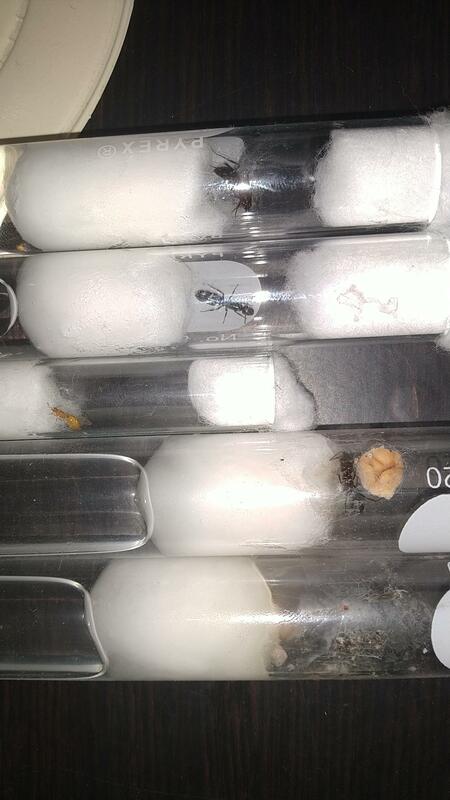 I believe I have 2 odontomachus queens. Clean the test tube out. I have a smaller test tube. Should I use it? For the Crematogaster and maybe the Colobopsis. Edited by Hightlyze, April 12 2019 - 7:13 PM. Sorry, I misunderstood the question and yes you should. Edited by EthanNgo678, April 12 2019 - 7:23 PM.